Google has rolled out a new update to its Gmail Voice service today, which now enables users to make and receive multiple calls at the same time, on just one Gmail account. The new feature works across all call types: voice, video, and phone but only two calls to physical phones can be made at any one time. The new feature now allows you to make a second call whilst already in a call. Once you initiate the second call the first call will automatically be put on hold while you use and talk on your second call. You can switch between calls by pressing the “Resume” button on the call you want to talk on, which will then automatically put the previous call on hold. 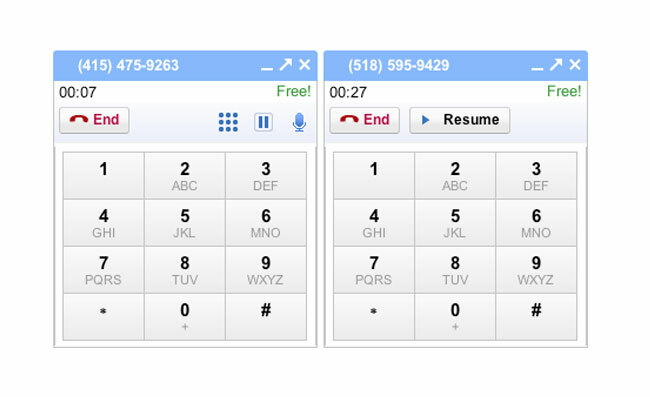 The new feature now allows you to put calls on hold even if you are making just one call. Simply press the press the “Hold” button and then “Resume” to start talking again.